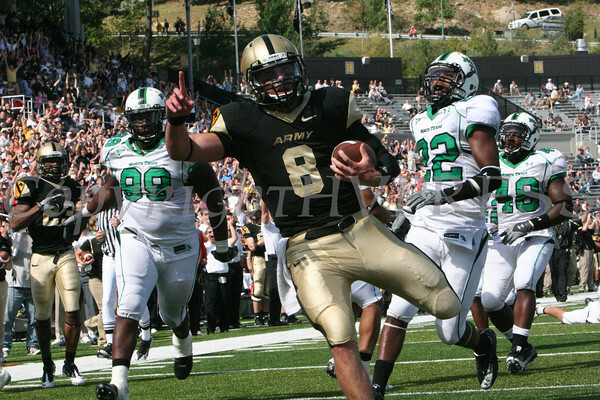 Army's quarterback Trent Steelman (#8) scores a touchdown on a 20-yard run in the third quarter against North Texas in Michie Stadium at the United States Military Academy in West Point, NY on Saturday, September 18, 2010. Army defeated North Texas 24-0. Hudson Valley Press/CHUCK STEWART, JR.